First there was Acai berry, then African mango and now Raspberry ketone. These three natural ingredients have possibly contributed more to the natural commercial weight loss industry than any other – a veritable holy trinity. All three of the above natural ingredients have spawned an entire industry with all suffering from the exceptional down to the highly dubious when it comes to specific brands that are associated with them. 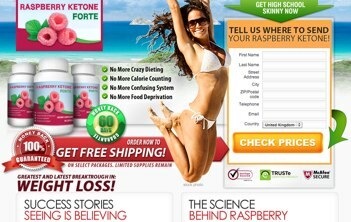 The latest product to be receiving some media interest is Raspberry Ketone Forte. We take a look and see if it is a product worth investing time and money into. A capsule product designed to be taken at regular intervals throughout the day – usually twice a day, with breakfast and lunch. The recommended daily dosage is around 200mg per day of any RK brand. 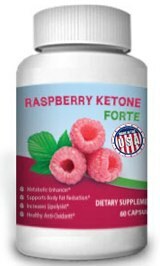 The above paragraph seems a bit vague, this is because the official Raspberry Ketone Forte is extremely vague – it contains a whole load of nothing. Apart from a rather cosmetically pleasant sales oriented one page website there is a real lack of any substance – a potential buyer cannot even see the price until he or she signs up and gives away some personal details. The sign up page smacks of autoship, anyone who has ever been bitten by the autoship program is probably wincing at this point. For those who are unfamiliar it goes something like this – you sign up for what seems like a good deal, usually a few dollars for a trial package which lasts a week or so. What most unsuspecting customers fail to realise is that they have just agreed to have their credit card debited once a month to the tune of around $80. 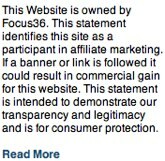 Trying to contact company’s that partake in such schemes is a tad tricky to put it mildly. Looking at the official website it contains all the right ingredients – Acai, African mango, Green tea, Resveratrol and of course Raspberry Ketone. What the official website doesn’t tell us is the amount in each capsule of per serving. As mentioned before 200mg is about the norm. Highly unlikely to cause any side effects – unless of course you count the stress caused by trying ‘undo’ the autoship program. Raspberry Ketone is absolutely and unequivocally worth buying – Raspberry Ketone Forte as a brand is not. 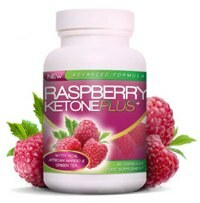 If you have read about the benefits of RK and are keen to see for yourself if DR Oz favourite natural fat burner is really going help you reduce your calorie intake then take a look at Raspberry Ketone Plus. It is the produce of a UK specialist company Evo Slimming – Raspberry Ketone Plus was the actual brand that was featured in the Fox new reports that spawned the initial craze across the world. If RKF is the dubious then RKP is the excpetional. This entry was posted in Non Prescription Diet Pills and tagged Forte Australia, Raspberry Ketone Forte. Bookmark the permalink. The full money guarantee is a fraud! They say the y will conseider the requwst and then if it is accepted the refund will take two to three months! BEWARE! Η εγγύηση επιστροφής χρημάτων είναι απάτη! Ερευνουν το αίτημα επιστροφής και μόνο αν το εγκρίνουν θα πρέπει να περάσουν δυο με τρεις μήνες για να γίνει η επιστροφή χρημάτων! ΠΡΟΣΟΧΗ!! So is it true that the credit card will be debited with around 80 dollars a month?